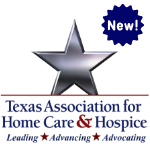 · Texas Association for Home Care & Hospice is an approved provider of HCSSA Administrator Training by the Texas Health and Human Services / Department of Aging and Disability Services. All programs in this curriculum meet educational training requirements for Administrators and Alternates under Texas HCSSA licensing regulations. · This program meets initial education requirements for Administrators and Alternates under Texas HCSSA licensing regulations.